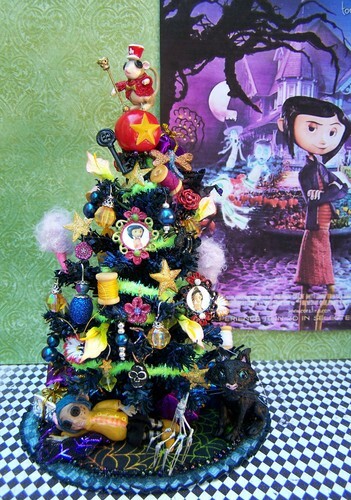 dollhouse miniature Coraline-themed tree . dollhouse miniature Coraline-Themed tree by 19th Day Miniatures. HD Wallpaper and background images in the Coraline club tagged: 19th day miniatures coraline neil gaiman. This Coraline fan art contains bouquet, corsage, posy, and nosegay. There might also be begonia, rose, rosebush, rose, and rosiness.